Texas teachers have a right to be perplexed about their Social Security benefits. The rules for collecting Texas Teacher’s Retirement and Social Security can be confusing and intimidating. The overabundance of bad information on the internet doesn’t help! The good news is, the rules can be simplified and condensed into something that’s understandable for normal folks like us. Even if I didn’t live in Texas, I think it would still be my favorite state. If you live here as well, I’m sure you’ll agree that there’s a lot to love about the Lone Star state. However, on a slight negative note, it’s one of only 15 states where teachers do not participate in Social Security. Instead, the state has their own pension plan that takes its place. That’s not a bad thing on its own, but it can cause confusion if you don’t know the rules on how Social Security benefits and Texas Teacher’s Retirement Pensions fit together. Here’s a closer look at what you need to know. For example, if you work as a Texas educator you will not pay Social Security taxes. However, that work alone is not enough to subject you to the WEP or GPO provisions. You must also meet the service requirements and qualify for a pension to be affected by these hefty benefit reductions. This gets especially complicated if you’ve paid into the Social Security system for enough quarters to qualify for a benefit before (or after) your teaching career. Many teachers find themself in this situation for an assortment of reasons. For some, teaching is a second career after they’ve spent several years working in a job where Social Security taxes were withheld. Others may have taught in a state where teachers participate in Social Security. For example, teachers in my town (Texarkana) could qualify for both teacher’s retirement and Social Security. If they worked in Arkansas (where teachers do participate in Social Security) for at least 10 years and then taught in Texas (where teachers don’t participate in Social Security), they would qualify for both Social Security and the Teacher Retirement System of Texas pension. 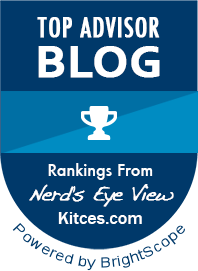 So how do you know what to expect if you qualify for both Social Security and TRS? Don’t expect it to be on your Social Security statement! Any reduction in benefits thanks to your teacher’s retirement pension is NOT reflected in the benefits estimate section of your statement. But if you know the rules on the WEP and the GPO it doesn’t take long to calculate what your benefits will be. 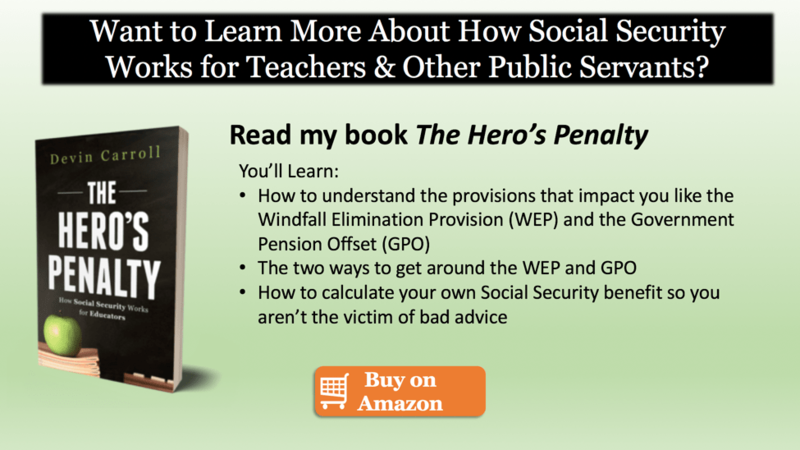 The Windfall Elimination Provision (WEP) is simply an alternate method of calculating your Social Security benefit if you also have a pension from work where no Social Security taxes were paid. The new calculation will result in a lower benefit amount. If you have more than 20 years of “substantial covered earnings” (where you paid Social Security tax), the impact of the WEP begins to lessen. At 30 years of substantial covered earnings, the WEP goes away completely and does not apply. This phase-out of the WEP reduction offers a retirement income planning opportunity if you have worked at a job where you paid FICA (Social Security) tax. For example, if you worked as an accountant for 20 years before you began teaching, you may be able to do enough part-time work between now and when you retire to completely eliminate the monthly reduction. Would it be worth it? If you consider how much more in benefits you could receive over your retirement lifetime, it could be worth $100,000 in extra income over a 20-year retirement. Obviously, not everyone has the option of accumulating enough years to wipe out the big monthly WEP reduction. But for those who do, or can get close, it’s certainly worth considering. For more information, see the Social Security Administration’s WEP Benefit Calculator and other resources. As an example, let’s say Nicole worked for 30 years as a Texas schoolteacher. Her husband worked at a local manufacturing plant. Upon retirement, she began receiving her TRS pension of $3,000 per month. Her husband retired from the plant at the same time and filed for his Social Security benefits of $2,300 per month. Sadly, he passed away a only four years later. Some would say that this reduction is not fair. I think they have a legitimate point. Why? The GPO only applies because of Nicole’s profession! This is effectively a penalty for being a school teacher. If she had worked as an accountant instead of working in education, she would have been eligible to receive the full $2,300 per month in Social Security Survivor’s benefits. From time to time I’ll have a teacher ask me, “If I’ve never paid into Social Security, why would I expect a benefit?” Although this makes perfect sense to some, others think it’s unfair that this isn’t true for everyone. For example, if you had chosen to stay at home as the household manager, you would not have paid into the Social Security system. However, you would be eligible for spousal and survivor benefits. Meanwhile, Texas teachers who never pay into Social Security won’t receive any benefits. These intricate Social Security regulations and how differently they may affect your retirement income make it critical that you plan ahead and prepare. Before you make your elections on your Texas TRS pension, you must consider how your monthly cash flow may change with a spouse’s death. For example, if your spouse passes away and their Social Security survivors benefit ceases, how will that impact your monthly retirement income? As a teacher, you have plenty to keep up with and these complex rules on Social Security don’t make it any easier. But don’t let it get to you. Instead, get informed so you can make best decisions for you and your family. You’ll likely hear conflicting information along the way but don’t give up! You can find the information you need to make an informed filing decision. This is a very informative article. Thank you for the great explanation. It is sad that Texas decided to penalize their own teachers. What is not explained is what benefit Texas recieved by selling their teachers out. Who do we turn to for advise? No one seems to understand these exemptions and NO ONE is helping the Texas teachers!